This is the longest off-road trail in the greater Halifax area. Starting at the Atlantic Superstore Superstore on Joseph Howe Drive in the northwestern edge of town, the paved trail goes for 7.3 km (4.5 miles) to Lakeside. The trail is quite scenic, passing by five lakes. The Chain of Lakes Trail is part of a larger system. At the Lakeside terminus, one can connect to the “BLT” Trail, which is unpaved but continues through Beechville, Lakeside, and Timberlea for 13 km. 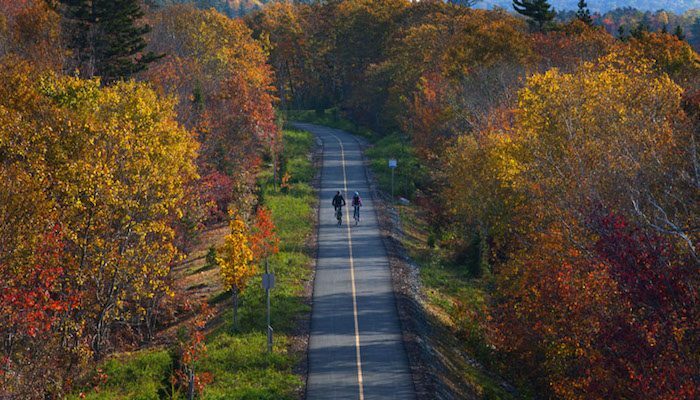 From the end of the BLT Trail, connect to the spectacular St. Margarets Bay Trail, which continues for 32 km, unpaved, from Hubley to Hubbards. There are wonderful water views much of the way along this trail. It’s worth a destination run (or bike ride). I’m typically to running a blog and i actually recognize your content. The article has actually peaks my interest. I’m going to bookmark your site and maintain checking for brand new information. It’s very trouble-free to find out any topic on web as compared to textbooks, as I found this paragraph at this site. Amazing! Its truly awesome article, I have got much clear idea regarding from this article. if so afterward you will without doubt get fastidious knowledge.